Another rendering of the classic Tycobrahe Octavia circuit, this time by Buildyourownclone.com. 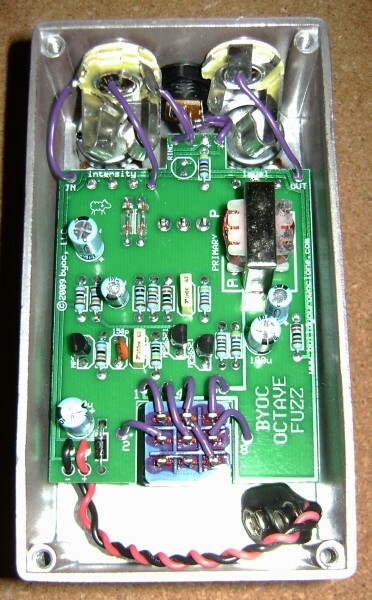 Soundwise, it's very similar to the one shown HERE, which was built from a General Guitar Gadgets PCB. While it lacks the "pregain" control of the GGG design, the fuzz on this version seems a little less extreme, so the pregain doesn't really seem to be needed. And the layout is BYOC's new one with the I/O and AC adapter jacks at the top, for more convenient pedalboard hookup. 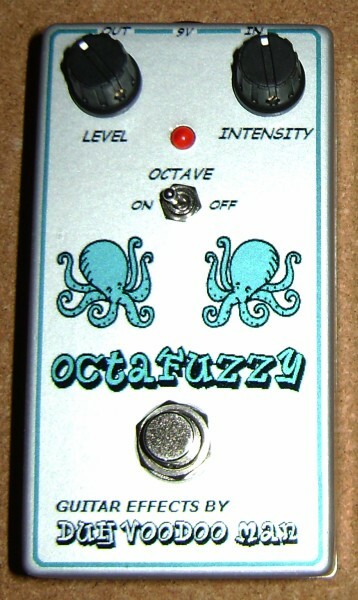 My pal Robert Renman did a really nice video demo of one of these that I built for him, so be sure to check it out. Dude can flat PLAY! !